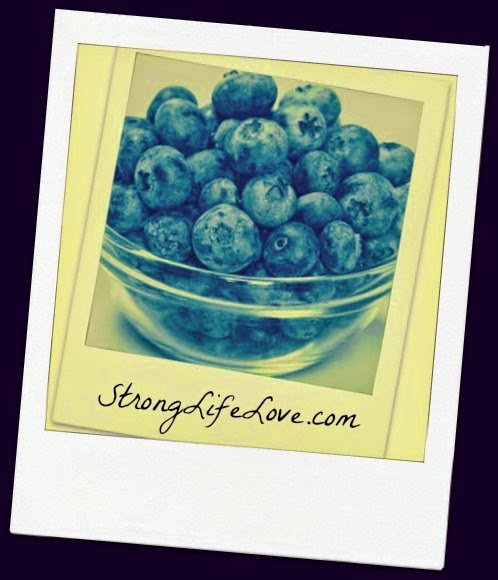 Jennifer Wood Fitness : What's the nutritional benefit of blueberries? What's the nutritional benefit of blueberries? Those tiny little blue spheres of goodness are packed full of nutrition. They are naturally sweet and are a powerful offence to disease. They contain a compound called anthocyanins which are antioxidants. Antioxidants help keep our body healthy and prevent age related diseases. This could prove to fight off alzheimer's, and some forms of cancer as we age. They are also low in calories. In 1/2 cup it contains 40 calories, fiber, vitamin C, and manganese (helps with bone development and energy conversion). Studies have shown that consumption of blueberries can help lower risk of type 2 diabetes. So, it never hurts to fight off disease before it hits. In older adults, improved memory seems to be reported for those who eat more berries. So, the moral of the story...eat more blueberries because they are good for your health and tasty too! For more daily tips, recipes and motivation, follow me on Facebook.